I've listened to Evanescence since they 1st came out & a friend told me since i liked Evanescence so much to visit the website! I've listened 2 Evanescence since they made an Album in 2003 & their music has a lot of meaning & Amy Lee has an AMAZING voice. Last year when i heard that Their lead guitarist left while they were on tour i just knew they'd stop playing but they didn't. 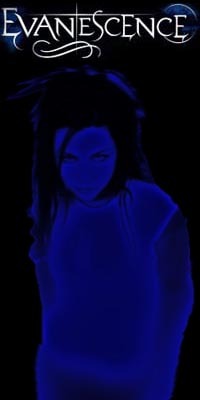 Amy lee is a big inspiration to my life!! !